It was that time of the year where anxiety was its peak. Everyone was sending out their portfolios for the college internship. While I had set my mind on trying to get into something that was often talked about in architecture schools but rarely ever see being implemented- where architects design for the community with the community. 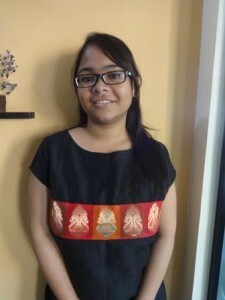 I had sent my portfolio to Shelter Associates (SA) with low expectations and an honest email about how I am interested in working with the community and learning more about the Pradhan Mantri Awas Yojana (PMAY). On being accepted to work at, I was excited and curious to find out how an NGO works with the community and whether the design process is different or similar. During my first month in SA I was assigned to work on an Area Resource Centre (ARC) in one community of Kolhapur city in Maharashtra where a community toilet block was to be converted into an ARC. SA had provided individual toilets for most of the houses in that settlement making several community toilet blocks redundant or highly underutilised. Hence SA jointly with the community, decided to convert one of them into an ARC that could be used more meaningfully by the community. On my visit to the site, I noticed the poor maintenance of community toilet blocks (CTB’s) where a lot of of the pans were clogged SA motivated the community to participate in their ‘One Home One Toilet’ project which completely freed them of their dependency on CTB’s as 70% families opted for a private toilet in their homes. Moreover SA also forged an excellent working relationship with the urban local body including the elected members. I learnt how the community especially the women aspired for an Area Resource Centre in terms of ownership and the activities. In the meetings conducted it was found that the people of the community wanted the ARC to be run by the women of the community. There was also an exit meeting which I got to attend, which happens when SA completes the OHOT project. It felt like a festival of its own kind, there was a lot of joy on the faces of the people and the children in the community. Other than the Area Resource Centre, I also got to learn about the various sanitation options provided by SA depending on the ground situation. These ranged from tiger toilets in Donaje, the use of various prototypes of septic tanks done in Kolhapur and Thane and a biogas project in Kolhapur. There were also settlements that I visited in Navi Mumbai and Thane that were compact. There was a lack of open spaces in these settlements. The houses in these settlements are extremely small and lack natural light. 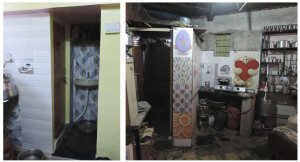 The houses in Navi Mumbai and Thane are heavily dependent on the Community toilet blocks. I learnt that the people in such settlements were very repulsed initially to the idea of having a toilet in their own house. They are slowly adapting to this change since for a long time it was frowned upon to have a toilet in the household. I was also able to closely follow an ongoing housing project in Bondre Nagar, a settlement of Kolhapur. This has helped me understand how the spatial data using Geographical Information systems (GIS) collected in the slum is used to identify certain important aspects of the settlement. Other than that, I found that the various mobilization activities conducted in the settlement have helped in engaging the community in the design process. All in all, the experience of working at Shelter Associates has been extremely humbling and comforting. The interactions I have had with the people in various communities and settlement during the community meetings have made me believe in the inclusiveness of this process. It has been a very enriching experience working at Shelter Associates and understanding how the communities are affected and the countless ways in which they can be helped. I intend to use the participatory design approach in various projects in the future. The weekend of November 30th and December 1st, 2018 has been one of the most fulfilling weekends for us at Shelter Associates. We got a chance to showcase, learn and discuss our experiences with technologies with a variety of industry veterans and self-starters at the Tech4Dev Conference organized by the Chintu Gudiya Foundation and Social Alpha in Pune. It was quite an enriching experience where we got a deeper look into the functioning of Open Source Technologies, tactical problem solving methodologies adopted by NGOs like ours and a feeling of comfort knowing that we are not alone in the process of trying to solve the most pressing needs of the society using technology. The first day started with a keynote given by our founder Mrs. Pratima Joshi, where she outlined her journey of 25 years into key learnings that resonate with most NGOs even today. Briefing everyone with Shelter’s success at coming one step closer to improving sanitary conditions of the urban poor, Mrs. Joshi conveyed how automation using data and technology has been an integral part of the day to day workings at Shelter Associates and how they have been able to achieve economies of scale at a low cost because of the same. Later, Mrs. Joshi advocated the need to institutionalise data with the government so that the burden of information does not stay with the NGOs and is passed on to the people who need it the most for years to come. The keynote set stage for the “unconference” where people presented technologies ranging from integrated systems for education, health and sanitation to the various visualization techniques to ease decision making processes. The 15 minute presentation format that allowed multiple NGOs to present at the same time facilitated maximum consumption of information within a very limited time period. This coupled with the freedom of movement approach, allowing people to use their feet to move to presentations where they felt they could learn or contribute better, made the whole experience quite exciting and involving. This set the stage for the second day where people would vote on the topics they wanted to deep dive into and learn more about after the first day surface level flirtations. Through this format, we were able to discuss the pros and cons of using one technology over other effectively and the common problems we come to face while using them. By the end of the second day, the idea of the whole Open Source Community echoed more clearly with all the people present, as we were able to identify the need for creating a symbiotic relationship amongst us. We were not only seeking solutions to the problems we faced, but we were looking out for each other in a much more deeper sense. We were able to understand that making better choices takes work and there is a daily give and take in this open source community but it is worth the effort since we are trying to create something greater than ourselves. We ended the day knowing that our NGO community, is a structure of symbiotic processes working towards the good of every person, process and organisation. SA used a web-based application for data entry and creating reports (using collected data) and an android app for data collection of the above mentioned surveys. Data collection is an ongoing process. With the expansion of our operations in new cities, the survey forms and data collection systems need a continuous update. It was possible to modify the existing platform too, but very little. SA and its IT partner Soft-Corner were thus exploring new ways to incorporate the requirement. Meanwhile, Mr. Donald Lobo suggested an open source platform called Kobo Toolbox for defining and deploying surveys and for collecting data. KoboToolbox, a set of open source software tools, seemed quite suitable for our requirements. Soft-Corner also verified it by running a few tests on it for the same. SA has started its work in a new city recently – Navi Mumbai – where Kobo Toolbox is being used for data collection and entry. We have found it pretty user friendly and time saving while also allowing customization. Our initial experience in using this new tool was very good. A lot of options in the definition of different types of questions – including validation rules and skip patterns, save time on the field and increase the accuracy of the data collected. Grouping questions enable us to view them on a single page. 1. We cannot add a question to the existing form and if we do, we have to redeploy it and redeployment means losing existing data. 3. The exported excel needs formatting. (-). 5. There seems to be no provision for re-edits from the mobile device after uploading the data to the server. This could potentially lead to a problem. For example – if we have uploaded the data of household number 23 (improperly) and at some later date, I enter the correct 23, we cannot edit the previously uploaded data from the mobile device. we have to do it from the web module. 6. When a response is entered on the mobile device for a survey form, it asks for a name by which it would save the response on the mobile device. However, there is no format or validation rule that can be given for this name – which essentially means that each data person collecting the data can give the name of their choice. It would be more organized if we could give a pattern to force the naming in a certain way. Or alternatively, if we can pick some field(s) from the current response (like household number and the status) and show that as the default name to save the response, it would be very convenient. 7. The above mentioned name (by which the response is saved on the mobile device) is not available eventually – both at the back end and in the exported data. Its use is only till we upload the data. If that name is available for the record that could help. It was a significant moment when 3 women from the Sanjay Park vasahat (colony) from Pune city were felicitated by the Vimaan Nagar Residents Association (VNRA) on this year’ International Women’ day for the extra-ordinary feat of showcasing their presence in a dynamic environment wherein they had contributed immensely in the social sector in the Nagar road ward. VNRA is an organization which takes the note of contribution of women in the society and motivates them by providing them a platform whereupon they can further develop their abilities. It was a wonderful experience for Mrs. Surekha Borkar, Mrs. Nisha Sasane, and Mrs. Yashoda Manjalkar who bagged the prestigious award from their neighborhood community as a token of appreciation. It was understood that the water supply to the Sanjay Park colony was disconnected in the last week. It took no more than few minutes for Mrs. Borkar to get hold of the stock and then march to the ward office for lodging a formal complaint. Based on her proactive steps, the authorities were forced to appreciate the complaint and restore the water supply within few hours. The quintessential part of this moment was the display of raw but well-controlled courage by the women of Sanjay Park, and hence such actions give justice to the recognition which they received on the special occasion of Women’ day. It is widely acknowledged that the International Women’ day marks the occasion on which women, all over the world, are respected, appreciated, and loved for their political, economic, and social achievements. However, not limiting to just one day (8th March), it should be held, i.e. celebrated and lived for all 365 days and the invisible patriarchal attitude behind any “unjust felicitations” should be unanimously resisted and such individuals or groups should be immediately dis-empowered. Author shelterPosted on March 16, 2016 March 16, 2016 Leave a comment on Women Power Acknowledged! “One Home, One Toilet” and thousand possibilities to built it! As a volunteer architect at Shelter Associates, I was interested in observing how the urban poor live in Pune. As part of the “One Home, One Toilet” project, I also wanted to see what impacts the construction of an individual toilet had on small spaces and what percentage of space in a house was dedicated to daily personal hygiene. In order to determine this impact, I began to measure randomly selected houses: 61 houses from 4 slums in which Shelter Associates is/ has been active – Prem Nagar and Rajiv Gandhi Nagar in Pune, Rajendra Nagar in Kolhapur and Idgah Nagar in Sangli/Miraj – were included in this sample. While taking these measurements, I gathered information about how space in the house was used before the construction of the toilet and how much money the family spent on the construction of the toilet and on other improvements to the house. From then on, I didn’t go into the field without my tape measure and I always insisted on understanding how space within the home was utilized before and after the construction of the individual toilet. The houses included in my sample measure, by average, 212 sq ft (19.7 m2) and are occupied by an average of approximately 4.6 people; this means that one person has only 46 sq ft (4.3 m2) at his or her disposal. Due to limited interior space, I noticed that slum dwellers use the space in front of their doors as the extension of their homes. Indeed, lots of activities take place in the streets, from clothes washing to grain sorting. It is also a place to chat with family members or neighbors and a playground for children. Most of the households for which Shelter Associates provided material to build an individual toilet had a bathroom in their home prior to construction of their toilet. These bathrooms were used purely as washrooms, while defecation took place in community toilet blocks. From my investigations, I discovered that before Shelter Associates’ intervention, the bath area measured an average of 15 sq ft (1.4 m2) and occupied 7% of the house; after intervention, the newly-built toilet and bathroom area measured 29 sq ft (2.7 m2) and took up 13.5 % of the house area. Despite the small size of their houses, Shelter beneficiaries were willing to devote more space within their home for an individual toilet. Moreover, I found that, while the average monthly income of the selected households is Rs. 10,600, the beneficiaries spent an average of Rs. 29,000 on toilet construction and home renovations. This amount of money includes labor charges and extra material needed, like tiles, bricks and cement. In the settlements I visited, the bathroom was usually a space inside the house defined by a half-length or full-length brick wall. In order to provide additional privacy, metal containers were sometimes stacked on top of half-length walls or a curtain was hung over the door opening. In most cases, the new toilet was an enclosed space – Shelter Associates considers the toilet complete only if it has a door – built at the location of the former bathroom and combining a bath area and a toilet. However, the bathroom space and the toilet could also be located in separate spaces. In fact, toilets have different dimensions and are equipped differently according to each house’s size and layout as well as household’s needs and financial means. That is what makes visiting so many houses in different settlements so fun! The former bathroom and the new combined toilet and bathroom. During my field visits, I was struck by how every informal settlement is different depending on its surroundings and its location within the city. Prem Nagar, for instance, is a settlement located in the city center of Pune, squeezed between the Market Yard and housing complexes, and is organized lengthways along access roads. All houses in the settlement are pucca or semi-pucca – houses built of hard material like bricks – and the house improvements resulting from the construction of the toilet were in most cases only inside of the house to be seen. Rajiv Gandhi Nagar – a settlement located in a peri-urban area alongside the Mula Mutha river – was composed exclusively of kutcha houses – houses built of impermanent material like tin sheets – before Shelter Associates’ intervention. Construction of individual toilets brought major changes to people’s lives, as it provided the impetus for households to rebuild homes using bricks and concrete (pucca) material. These improvements bring additional comfort in everyday life, not only because the household now has access to their own toilet, but also because pucca walls provide greater protection from rain, wind and heat. In some houses, meals were prepared on the floor as the household wasn’t equipped with a kitchen platform. These households took advantage of the construction work to build a kitchen platform. You’ll probably be surprised as well at the outstanding creativity some of the inhabitants showed in the building process! While most households in Prem Nagar and in Rajiv Gandhi Nagar constructed a single space for both the bathroom and the toilet, in Rajendra Nagar and Idgah Nagar, some households constructed separate spaces. To my surprise, while the bathroom was accessible from the inside of the house, many residents chose to construct access to the toilet exclusively from the outside of the house. It is a choice that might not make sense for some of us, especially considering the pouring rain the area gets during rainy season. Slum dwellers, however, often have hygienic concerns about constructing a toilet inside their homes. Some of them, for example, fear the bad smell that could result in the use of the toilet. In Prem Nagar, some inhabitants told me they were afraid that rodents might crawl out of the toilet pan or that the drainage line might get choked. Some residents also thought that it was unhygienic to eat and cook next to the toilet. The households that were already using their toilet didn’t report any problems, however, and they were happy with the new facility. In Idgah Nagar, a middle-aged woman said that even though she had constructed a toilet in her house two months earlier, which her children use, she had yet to use the toilet. After defecating in the open for 40 years – the settlement doesn’t have any community toilet blocks – , she had not yet adapted to having a toilet in her home. However, she said that she used the toilet at her work place without problems. 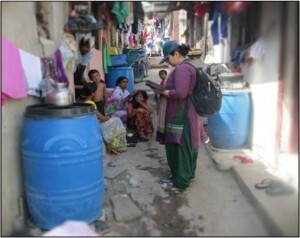 It has been observed that slum dwellers – especially adults – who are used to defecating in the open or using the community toilet blocks, will need up to two months to start using the toilet. That’s why Shelter Associates tries to encourage people to use the toilet by talking about the issue in focused group discussion with the community and by organizing street plays on the topic. In Idgah Nagar, I heard several other interesting stories. One family explained that construction of the toilet had brought the wife and children back to the house. The wife didn’t want to live with her husband because his house didn’t have a toilet. She came back to her husband’s house with their two children immediately after completion of the toilet. Another family decided to build a brick house equipped with a toilet in place of the bamboo house they had been living in: their son was able to get married because of the nice house they now lived in. Providing the urban poor with the opportunity to construct an individual toilet isn’t only about improving sanitary conditions in slums; it is also about inspiring residents to make other positive improvements to their lives and their homes! It is about fostering creativity and empowering the urban poor. If you would like to know more about the “One Home, One Toilet” project, please check out our flyers on the website for more interesting stories. It only remains for me to thank Reshma, Aishwarya, Pradeep, Dhananjay, Mohan, Noorjahan and Shubah from Shelter Associates for accompanying me in the field and for translating from Marathi to English. Thanks to Moira for proofreading my texts. Finally, I also would like to express my gratitude to the whole Shelter Associates team for their kindness and for giving me the opportunity to do these very interesting investigations. Blog written by guest blogger, Laurence Beuchat. Author shelterPosted on March 9, 2016 Leave a comment on “One Home, One Toilet” and thousand possibilities to built it! The impressive GDP growth rate in India over the last decade has made way for an ever growing poverty gap. With urban population expanding at an explosive rate, it has become difficult for the cities to cope with the sudden influx of the poor populous. Slums have popped up overnight and the lack of planning at city level for informal settlements has made it very difficult for these people to access basic facilities such as sanitation, water, and electricity. This is a matter of social justice that has been neglected in our country since decades. On the 7th January 2016, the National Summit on Sustainable Water and Sanitation will be held to deliberate on the water and sanitation needs of India. The panel discussions will be attended by dignitaries from the government as well as the private sector. This is a huge opportunity for members from these sectors to interact and collaborate on matters. The forum will be extremely useful in highlighting best practices that are being implemented across the country that can be emulated in other cities. We at Shelter Associates are thrilled to be supporting this event. Follow this link to be a part of the summit! Seems like it’s time to grow young again! Blog post by guest blogger Chinmay Katke. On 1st August, the birth anniversary of Late Annabhau Sathe, in Rajiv Gandhi Nagar, Pimple Gurav, we witnessed a very innovative program which saw community children coming together to raise awareness regarding the necessity of individual toilets and hygiene. As a new volunteer at Shelter Associates, I was thrilled at the prospect of working with these children. I had never worked with children from slum settlements before that day and the experience that I underwent will never be forgotten. A member of a small team of three, I was really excited to have gotten the opportunity to take a peek into these eager minds. The workshop began with an awareness rally where kids promoted health, hygiene & cleanliness by holding placards and urging elder people to join them. Then a ‘Baal-Panchaayat’ was arranged where kids were engaged in conversation with the authorities in charge. PCMC Chief Engineer, Mr. Sanjay Kulkarni, Pimple Gurav Police Inspector, Mr. Shinde and Shabana Diler of Shelter Associates, aptly answered all the daring queries raised by the young minds. After the serious discussion, the kids enjoyed a drawing competition where they poured their fresh ideas onto paper with the right competitive spirit. Later we conducted an exercise where kids painted the plastered walls of newly built individual toilets by Shelter Associates with different murals. I felt like I had been thrown back into my childhood for those two hours. The program ended with everyone enjoying tasty snacks. I was overcome with a feeling of content. Open defecation and the diseases spread by its improper treatment is a problem that causes discomfort on daily basis. This becomes a major crisis due to the lack of awareness about the topic. While the Government and Administration are trying their best to make the basic amenities available to all, some efforts at the individual or group level are essential. NGOs like Shelter Associates play a vital role in mobilizing people towards a better cause. Mr. Kulkarni insisted everyone on participating in Shelter’s “One Home One Toilet” scheme to see the community liberated from the years old malpractices and the evil cycle that follows. Author shelterPosted on August 10, 2015 January 28, 2016 Leave a comment on Seems like it’s time to grow young again! The following is an article published on the Results for Development website. We appreciate and thank them for the support given to us. “Learning and innovation go hand in hand. The arrogance of success is to think that what you did yesterday will be sufficient for tomorrow.”- William Pollard. Though change is inevitable, building upon lessons learned is a critical step to shape more effective solutions moving forward. Not only do these conversations about past challenges cultivate better dialogues about innovation, most importantly, they catalyze new approaches to best tackle the world’s most pressing challenges. Shelter Associates exemplifies this kind of innovation in the water sanitation, and hygiene (WASH) sector. Shelter is a non-profit organization that works alongside the urban poor, particularly women, in Maharashtra, India to provide technical support to community-managed slum rehabilitation housing (including security of tenure), and essential services projects. One of the most innovative aspects of Shelter’s work is how geospatial data is integrated into the monitoring and evaluation (M&E) process and verifies sanitation improvements across project sites. Pratima Joshi, founder of Shelter, spoke to Results for Development (R4D) about a story of a success and of a challenge the organization has experienced since its founding in 1994, and most importantly, how they drew lessons from those experiences to develop their model for greater impact. One of the largest challenges facing Shelter, like many water-focused organizations, is the lack of in-country infrastructure and resources to effectively deliver WASH services to everyone. The Rajiv Gandhi Nagar Slum in Sinhagad, Pune, which is home to 87 households and some 329 people, offers a good example of a place where providing WASH services is challenging, due to its location and very poor population. Open defecation rates were particularly high in this slum due to technical challenges to build a sewer system on the rugged steep sloped terrain. 2) The city’s lack of proper consultation and collaboration with stakeholders during the process of installing community toilets in urban slums. In order to overcome these challenges, Shelter Associates identified two key methods to accelerate and uplift local sanitation conditions. Its approach, unlike others, moved beyond providing basic sanitation structures and services, to included inclusive and cross-sectoral strategies to cultivate more innovative solutions. To better understand on-site realities, Shelter Associates incorporated Geographic Information Systems (GIS) mapping software to accurately display spatial information across the slum (houses, sanitation facilities, and common defecation locations). Increased awareness of existing infrastructure in the Rajiv Gandhi Nagar Slum was a direct outcome of this addition. The project also increased knowledge of ground realities and the impact Shelter’s water, sanitation, and hygiene (WASH) and education programs had across households. Greater data availability for the slum also meant more opportunities for the urban poor to participate in larger city planning agendas and decision-making processes. To strengthen cross-sectoral collaboration, Shelter unified policy makers, local leaders, and regional non-profits (NGO’s) to inform the planning and implementation stages of the city’s urban slum community toilet initiatives. They facilitated community focused gatherings and inclusive workshops, which were well attended by women and children. Although a time intensive process, this enabled Shelter to strengthen personal relationships and trust with community members. This approach was the most successful method to enable community participation and most importantly, inform the urban slum management process. Since the start of the project in 2013, GIS maps have pointed to improvements in the Rajiv Gandhi Nagar Slum – the prevalence of open defecation has fallen dramatically and now the slum is nearly 95% open defecation free. In a few years alone, Shelter has contributed to the 60% decrease in open defecation and given households the opportunity to live in improved sanitation conditions. The Rajiv Gandhi Nagar Slum highlights an excellent case study of a project ‘win’. Even with immense challenges from the beginning, Shelter Associates identified barriers and overcame challenges in the slum. With determination and persistence, Shelter created innovative strategies and will continue to use these approaches in its future work. As Pratima Joshi from Shelter reflects upon organizational experiences, she recalls a particular story of a challenge or something that did not go as planned. She described this as a “lessons learned”. In 2000, Shelter Associates participated in the Pune toilet project led by the Pune Municipal Corporation (PMC) and local non-profit organizations (NGO’s). 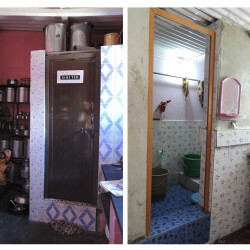 The objective of the PMC was to build sustainable community toilets in the urban slums of Pune, however, mistakes were made along the way which Shelter has since learned from and applied into its own work going forward. The narrow focus of only building toilets in the urban slum led to weak community involvement. The inability to mobilize local leaders and community members created a capacity gap in the toilet program and hindered the implementation and sustainability of the program as planned. The lack of unification prevented the success of the city’s slum toilet initiative. Shelter took this lesson learned and made mobilization a non- negotiable step in its work. 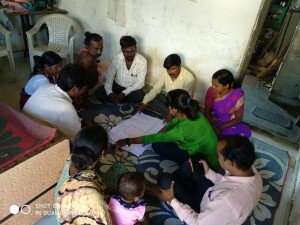 Since then, Shelter has integrated more urban slums community leaders and decision makers into the urban planning process and increased impact for on-site realities. Though innovation and learning go hand in hand, Shelter Associates has learned that success and challenges never remain static. The ability to adapt and redirect after a challenge, or as Pratima puts it “lessons learned”, is a critical step to cultivate and implement innovative approaches in our ever changing world. Shelter Associates most of all, is an excellent example for other innovators to integrate lessons learned into organizational approaches to reach greater impact. Written by guest blogger, Farheen She has a masters degree in Social Work from University of Delhi. 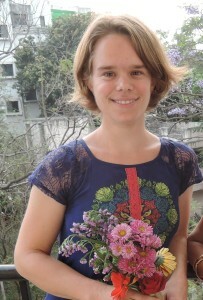 She is a Senior Social Worker at Shelter Associates. talking and knowing about menstruation. For them it was the first time in their lives that somebody had even given them any forum to freely talk and deliberate about this topic. They had all kinds of questions: why does it happen, what to eat, what not to eat, how many times to change, what to do if I have an irregular cycle, what to do if I have recurrent stomach aches… As they heard answers to all of their questions, they could not stop giggling. The smiles on their faces remain etched in my memory still and will always remain. However, with women, a different aspect comes out: that of disposing the pad. As in most Community Toilet Blocks (CTBs), dumping of pads in the block, pads being tucked in the windows, and pads being thrown in the toilet pans is a very common sight. Very few women and girls actually practice proper disposal of pads (ideally where the pads are supposed to be wrapped in a newspaper and disposed in the garbage bin). Even those who have existing temporary enclosures or bathrooms used for urination known as “moris” in their houses have problems. During menstruation each time they urinate they have to clean it with phenyl as they fear any male member could end up seeing the “blood” stains. For many women and girls, changing the pads and dumping the same in the toilet block is the only option. They live in an 8’x8’ sized house with 5-7 members and there is no private enclosure. Some male or other member of the household could come in any moment. Changing their pad is probably the last thing which ever crosses their minds. This leads to deleterious impact on their hygiene and many suffer from urinary tract infections and rashes as they do not change their pads on time. But post an individual toilet and these problems just get eliminated on their own as for the first time these women and girls find privacy and “their own space” in this toilet that they can use it at their own convenience. Author shelterPosted on June 24, 2015 January 28, 2016 Tags menstruation, World Menstruation DayLeave a comment on Happy Menstruation Day! Let’s make Pune open defecation free in 5 years. “Even today, over 60,000 families living in slums either use the community toilet blocks or defecate in the open. To bring an end to this practice, the central government, Maharashtra state government, the Pune Municipal Corporation, NGOs and private companies will work in collaboration to construct individual toilets for each of these households. In the next 5 years we will completely rid Pune city of open defecation.” said Municipal Commissioner, Kunal Kumar optimistically. Kumar spoke at the inauguration ceremony of the 1000th toilet built by “Shelter Associates”, a Pune based NGO, at Yamunanagar vasti in Vimananagar. “Shelter Associates” has been working to provide households with toilets and proper sanitation under their programme “One Home- One Toilet” from July 2013. Others present at the occasion were, Pratima Joshi- executive director of Shelter Associates, Lata Shrikhande- associate executive director Shelter Associates, VasantPatil- Nagar assistant municipal commissioner of Nagar Ward, Mrs. Bharati Kotwal from Yardi software private lmtd. (who funded the project in Yamunanagar) Suman Rokade and members of the community. The commissioner was felicitated by Suman Rokade, a resident of the settlement and the vote of thanks was given by Mrs. Lata Shrikhande. Author shelterPosted on April 8, 2015 January 28, 2016 Tags inaugurationLeave a comment on Let’s make Pune open defecation free in 5 years.